Hello guys !! Well, today I have Chameleon Pens review for you. They are not any standard pens, but instead they are really unique kind of pens by which you can create some stunning effects. Read the full Chameleon Pens review below to know the uniqueness of it 😉 !! Note: I personally own a set of it and the review is based of my experiences with it. Hmm, What will your reaction if I say I can create over 10 color tones from 1 single pen ?? Can you even think of it ?? That’s what Chameleon Pens are all about. 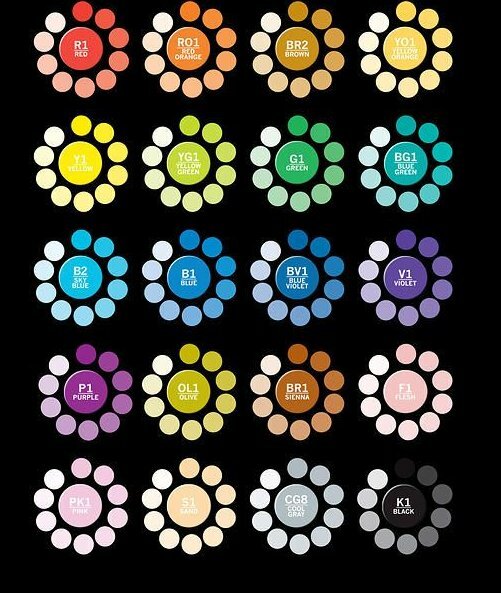 With the use of only 1 Chameleon Pen you can achieve multiple color tones for simple highlighting, Blending, shading etc. I hope you understood what I was talking about... Isn't this cool ?? And to be honest, I am currently using these pens to create a lot of my art-works. It has really eliminated the hassles of using 100s of pens to create various blends. 2 What are the Different Chameleon Items Available ? 4.1 How to Get Different Color Tones from a Single pen ? Keeping it short, here are some of the best features of these Multicolor pens. 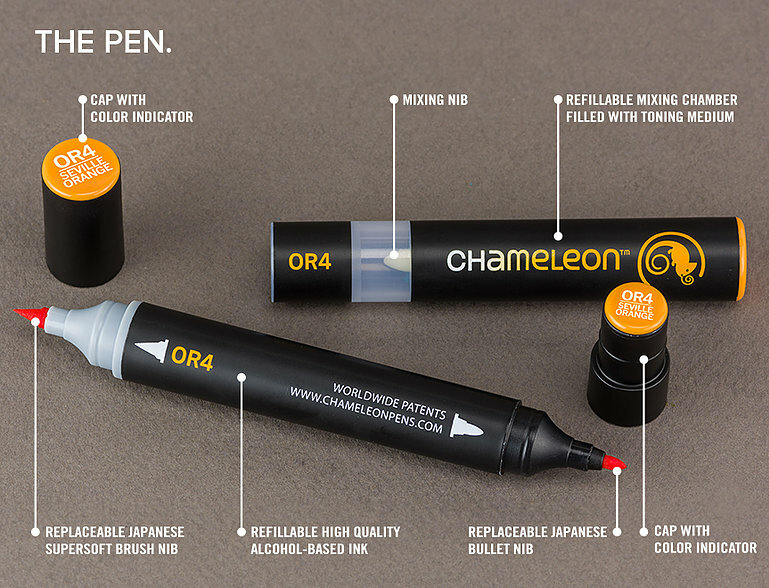 Chameleon pens have alcohol- based ink which is refillable. They have Japanese nibs which are replaceable. They are permanent on most surfaces. Compatible with all other alcohol-based inks. What are the Different Chameleon Items Available ? I own the 22 Piece Deluxe set but you have many other options. The company ships various items that are listed below. Set of 5 pens which include varieties such as Floral tones, Pastel tones, Skin tones, Gray tones, Nature tones, warm tones, Primary tones and cool tones. Amazing options to buy !! As a regular alcohol based marker. As a toning medium by which you get multiple color tones from lights tint of it to the darkest shade. Let me describe each and everything about the pen. First of all, It has a small cap with color and color code indicator, the pen is double ended with a Japanese bullet-nib at one end and a super soft brush nib at the other. Both can be infused and easily replaceable Next it has a mixing nib and a cover protector too which does not let the ink dry. Next, it has a mixing nib and a cover protector which does not let the ink dry. Bullet nib is used for outlining, drawing and working in small areas with precision coloring. Soft brush nib gives a paint brush feel which allows ink to flow beautifully with color gradation. What ink to use after it gets empty ?? Use Professional quality alcohol based inks, non-toxic, low odour and acid-free when dry. Recommended Paper/Sheet to use ? Use only card stock or illustration board designed for alcohol-based inks to avoid bleeding of color. Apart from the color pens, the deluxe set comes with 2 more special pens !! Detail pen is also double-ended with fine-line nibs ( 0.4mm and 0.6mm) and is used for illustrating, outlining and to accent stamping. Ink is permanent when dry. Colorless blender pen is also double-ended with bullet and brush nib that contains the same toning medium used in mixing chamber. Used to overlay, lighten or continue blending color that has already been applied. 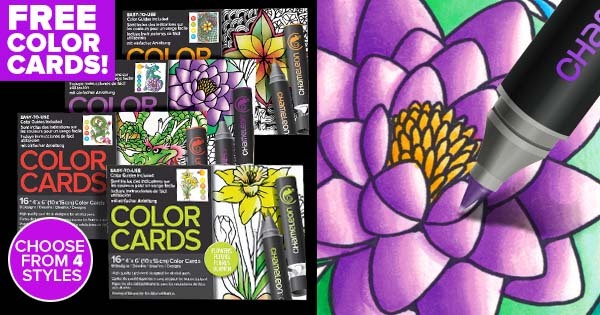 Use as a liquid eraser to push color back inside the lines and help eliminate mistakes. Use over any color to add texture and patterns. The most important part is here!! How to achieve the color tones?????? So, I will be telling about the secret behind achieving the shades from a single pen. Each pen has its own mixing chamber which helps to give you the desired shade. The toning medium in the mixing chamber dilutes the color of your pen which alter the intensity of color to produce lighter tones. 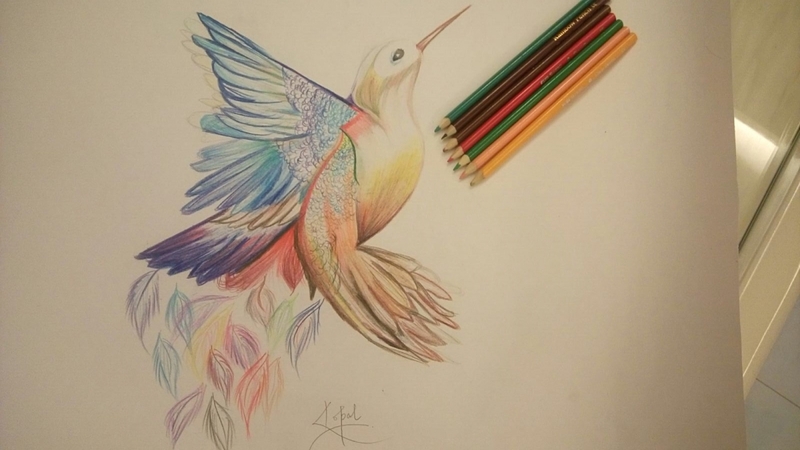 How to Get Different Color Tones from a Single pen ? The ink starts with the lighter tone and darkens back to original color. Step 1 : Separate the pen from mixing chamber. Step 2 : Choose your nib and remove the cap. Step 3 : Place the mixing chamber on top of the chosen nib. Point to be remembered here is, you need to hold the mixing chamber up and color nib down vertically. Here's a chart showing the different tones you can get with a single pen !! Let me share some important tips that I followed while making my own art-works. I made an abstract with shades of different colors. The best part about these pens is that once you use lighter shades you can easily use dark shades for giving a real touch. Secondly, blending of colors is very easy using these pens, that's something we cannot achieve easily with water or oil or acrylic colors. Here' my first Chameleon Pen abstract !! Another tip : If you want to color a large surface then always start from the middle and the go outwards, Create highlights by not coloring certain areas, and add textures using it. We can even use chameleon pens with pencil colors to give textures. The best thing about these pens is that <3 they work even on foil. Well, let me share some outlined images !! Just download them, print them and color them using the pens. Here's one done for you. Step 3: Color with the brush after infusing with code BR2 covering all the space, same in ears. Step 4: Color the nose with gray and the bow with purple after infusing for 10 sec only. Aren't these pens worth buying?? Are you interested to buy these pens ?? Well here are the best Chameleon Pen Offers. 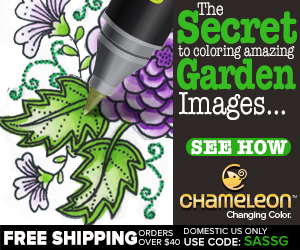 Get Huge discounts on Chameleon sets by using the below coupon codes. Get A Free Color Card when you Buy 22 Pen Deluxe Set. how can i get this in India?